“Unknown identity” for piano, sax and live electronics. Premiere is on the 25. June – 19:30 in the concert hall of the University of music and dance, Cologne. 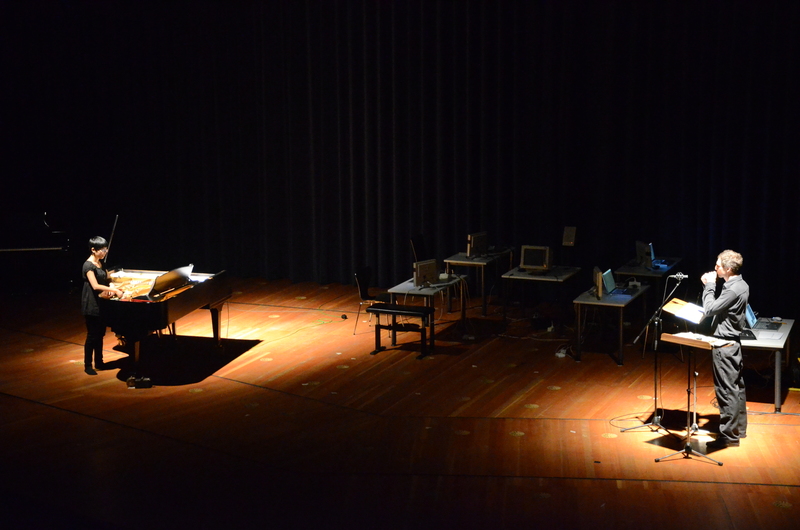 from the Premiere performance of the new composition from Sergej Maingardt’s “Unknown Identity” – Konzertsaal der Hochschule fuer Musik und Tanz Koeln.